If you’re ready to live your best life, you’ve come to the right place. 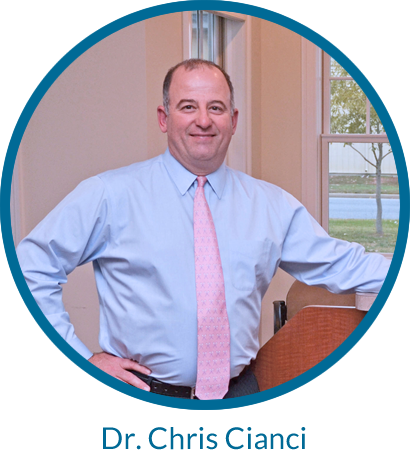 At Cianci Chiropractic Center, Dr. Cianci has one goal in mind: to help patients of all ages and backgrounds get well and stay well. Book a FREE CONSULTATION today to see how we can help you! Call us at (410) 820-4070 now! Dr. Cianci and the entire Cianci Chiropractic Center team understand that you want to get better and stay that way, and to help our patients achieve that goal, we offer some of the best diagnostic technology in the Easton area. Dr. Cianci will always perform a thorough exam before ever discussing your care options, and aims to uncover the root cause of your issues. And we don’t stop there—we want to make sure you completely understand everything we discuss with you. Educating our patients is something we hold to a very high standard.